Intermediate Conversation: Starting Thursday, Sept. 13, 7:00 p.m- 9:00 p.m. This course is for 8 weeks. Beginner Conversation: Not scheduled yet. This course is for 8 weeks. Cost: Conversation is $200 plus taxes. We offer French classes in a unique and beautiful environment at our centre located at 397 Main Road, Hudson. Our classes are small and cater to the needs of our students, helping them in their day to day lives. Get to know other students who have chosen to learn to speak French. Don't be left out, become part of the conversation. Keep posted for updates, just Like and Follow us on Facebook to be first to hear about it. 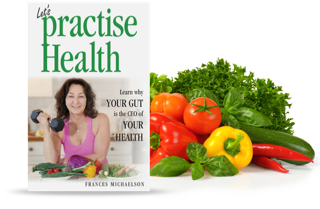 Lecture: Learn what to eat to live a longer, healthy, vibrant, life and why your gut is truly “ the CEO of your health. What dietary plan may work well for one, does not necessarily work for another. This is because we are not what we eat, we are what we digest .